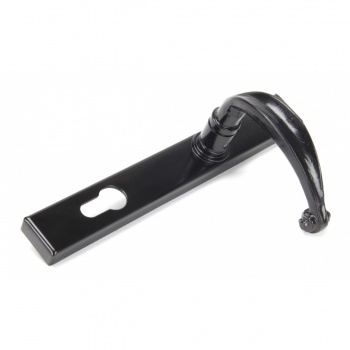 A ‘Slim’ espagnolette version of the traditional ‘Classic’ handle which has a traditional curved detail with scroll effect at the end of the lever. 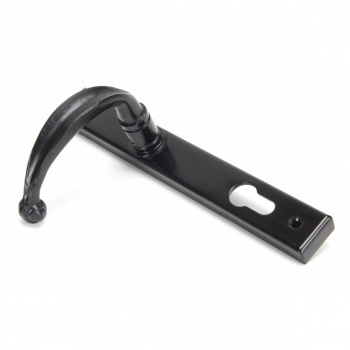 Designed with an extra long backplate to be used with all multi point locks & Euro cylinders - For more information see our guide to locks & latches here. 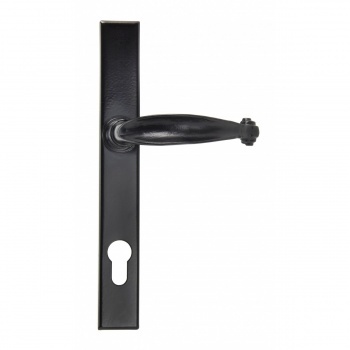 The slimline handle is not ‘handed’ so can be used either side of your door but has a special spring design which returns your lever to 90 degrees. Also allows the upward locking movement needed. 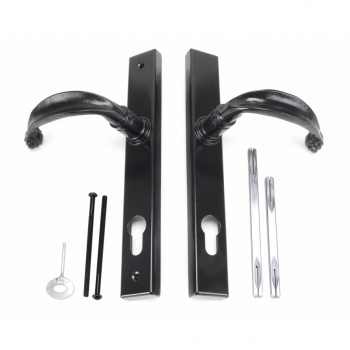 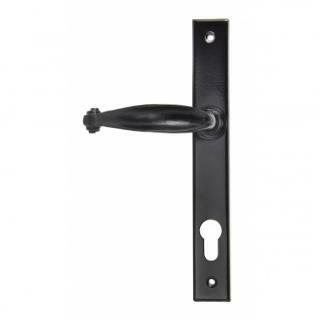 The handle set is extra secure as handle is bolt fixed from the internal view only.